Home Lifestyle Bacchus Cellar Waste not! GRAPPA is one of Italy’s most popular alcoholic drinks, with approximately 40 million bottles produced each year. 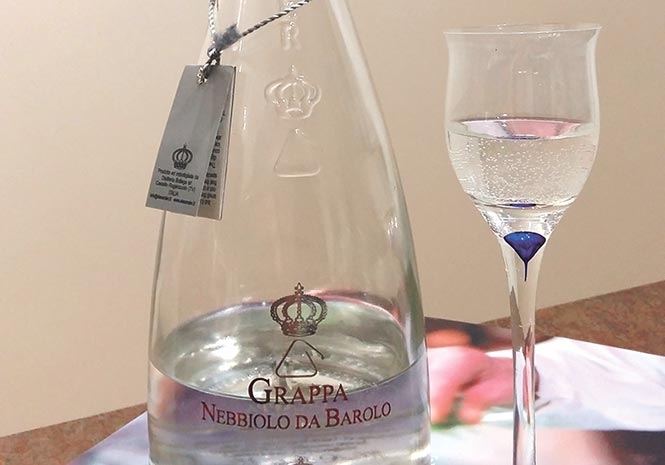 In 1989 the name Grappa became protected by the EU and can be used only if the drink is sourced and produced in Italy with alcohol content between 35-60 per cent. Grappa is made by steam distillation of the skins, pulp, seeds, and stems (the pomace) left over from the wine-making process in order to extract remaining flavours before the waste is discarded. It is then bottled at once to make Grappa Bianca, or aged in wooden casks to create the yellow or brown-hued riserva: Flavoured grappas are also produced with infusion of herbs. If at least 85 per cent of the pomace comes from a single variety, grappa can be designated di vitigno or varietale, and the type of grape can be incorporated into the name, eg, grappa di moscato. Young and aromatic grappa should be served chilled, while aged should be served slightly below room temperature, but never ice cold as freezing affects the flavour, and drunk from small tulip-shaped glasses with an open rim. The flavour of grappa depends on the type and quality of the grapes used, as well as the distillation process, though quality is not guaranteed as there is no DOC protection system as for wines. There are more than 100 grappa producers in Italy, with several in Bassano del Grappa, the drink’s historic home. The best-known include Berta, Bocchino, Brotto, Distilleria De Negri, Domenis, Jacopo Poli, Nardini, Alexander and Nonino. Previous articleThe face that launched a thousand pix?